WAYWT 6/17/2016 — AS RAKESTRAW - The personal site of Alex Rakestraw. AS RAKESTRAW | The personal site of Alex Rakestraw. This week's featured outfit: navy blue tones for a Summer Friday. I'm a simple man with simple clothing who types in complex sentences. It's the end of Week 3, and New York has been nothing but good to me. Last night, some friends and I went to a New York Philharmonic concert in Central Park, then this weekend, there's plans to explore more boroughs and even go for a photowalk downtown. 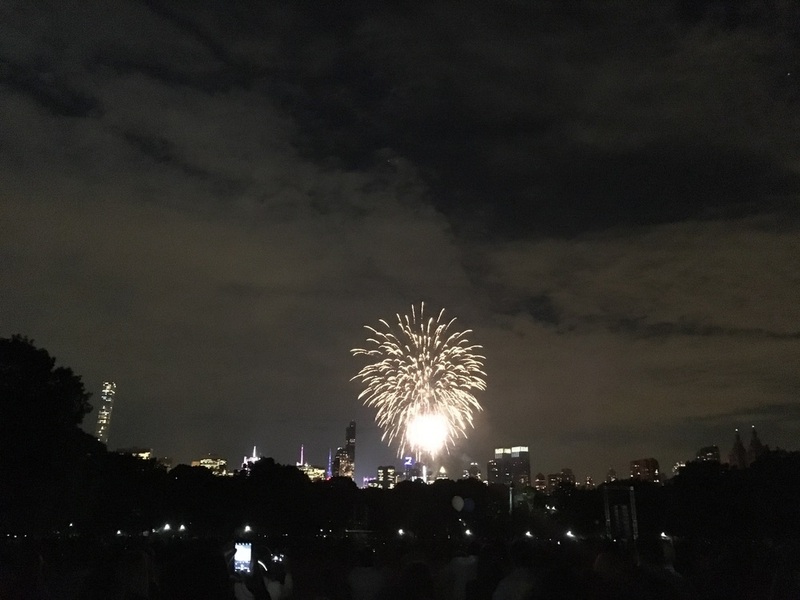 Fireworks over the NYC skyline after last night's show. The best part: I didn't even have to Google Map to a subway station. I just knew where the 4/5 Express stopped, got my things, and struck out into the world. It's the little things. Am I sad that this summer is almost one-third? Not even a little. With my new-found subway knowledge, I'm finally hitting my stride in New York City. Bring on the next two months.